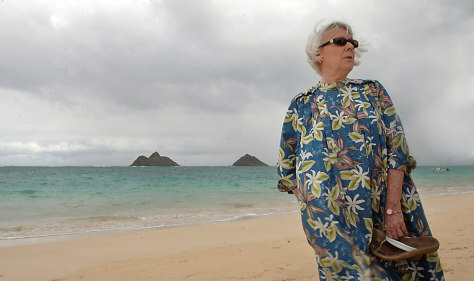 Susan Cummings on Lanikai Beach near her home in Kailua, Hawaii. Cummings sued her neighbor Marlene Roth, accusing her of operating an illegal bed and breakfast. Some residents complain that tourists are renting homes and rooms in their residential neighborhoods and create noise, drive up home and rental prices and destroy the sense of community.